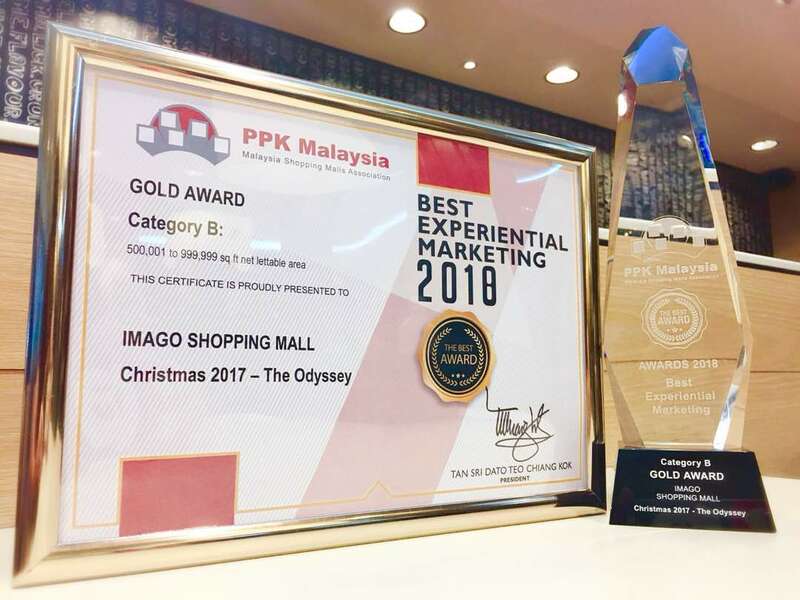 Persatuan Pengurusan Kompleks Malaysia (PPK) organized PPKM Awards 2018 to honour the grand decorations and creative marketing campaigns carry out by shopping malls in Malaysia. The PPK Awards consist of three categories, Category A for malls with NLA of 500,000sq ft and below, Category B for malls with NLA of 500,001sq.ft to 999,999sq ft and Category C for mall with NLA of 1 million sq ft and above. Imago Shopping Mall scored their first gold in 2017, under the same category for “Once upon a Dream” entry and bagged their second gold for 2018 with the entry of “The Odyssey”, a Christmas event planned and executed in 2017. Inspired by “It’s a small world”, a water-based theme park located in Hong Kong’s Disneyland, Imago Shopping Mall recreates a version that adaptable in a mall’s ambience where children able to ride boats and sails through five different stories and themes such as Santa’s Workshop, Santa and His Reindeers, The Gingerbread House, Alice In Wonderland, and Goldilocks and The Three Bears. With the fierce competition in traditional retail industries, Imago Shopping Mall differ their brand through attractive decorations and creative, one of a kind events.